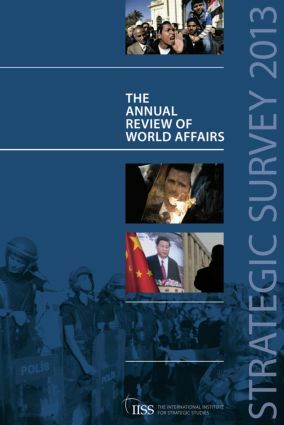 The Strategic Survey is the annual review of world affairs from The International Institute for Strategic Studies (IISS). It is an invaluable tool for interpreting world-wide strategic developments and has, since 1966, provided essential analysis of the year’s key events in international relations for government policy makers, journalists, business leaders and academics. Strategic Survey 2013 includes a chronology of the year's events, essays on important policy issues, and a Strategic Geography section giving vital data on key issues in map form. The book also includes region-by-region chapters analysing the year's strategic developments.